The Best Non Stick Cookware On the Market For You In 2017. It is good to find the best non stick cookware that meets your cooking needs. For some people, it is a hard task to choose the best cookware. Before you go shopping, ensure that you know what you want. 2. The Circulon ﻿S﻿ymmetry ﻿H﻿ard ﻿A﻿nodized ﻿N﻿onstick ﻿C﻿ookware ﻿S﻿et, ﻿C﻿hocolate. If you want to choose the best non stick cookware in the market, you should be able to consider some few things. This will help you to make the right decision on what to buy. Whether you want a piece or several, you have to consider these things. Heavy cookware is more useful in the kitchen. It allows even heating. Some of them can be harder to clean and handle. The lightweight cookware is convenient but does not provide an even heating surface. If you are comfortable with the heavy cookware, then this is the best choice for you. It is more durable as compared to the lightweight. The metal you choose will affect the durability of the cookware. The most common metals include the cast iron, stainless steel, the hard-anodized aluminum, and copper. 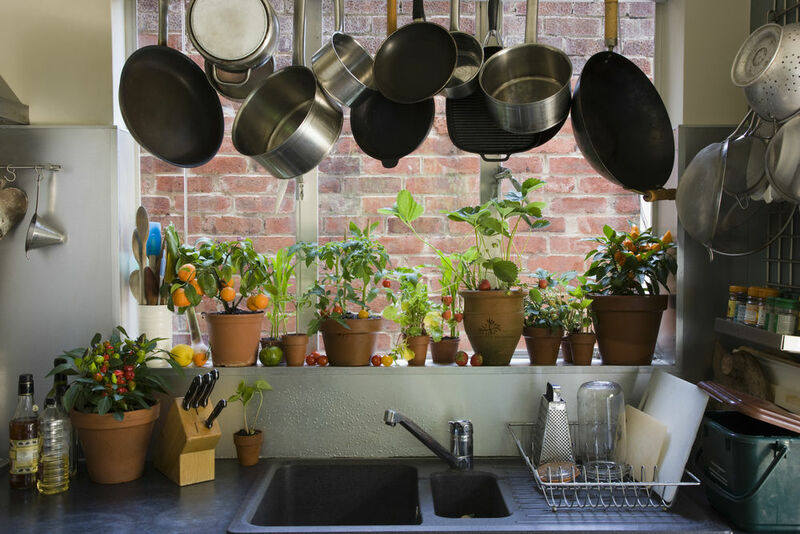 When choosing your kitchen cookware, this is an important factor to consider. Cast iron is the most durable and hardest. It is too heavy, it is a little bit hard to take care for. It may need more oil to cook if it is not coated. The aluminum is durable and hard. It is easy to clean this type of cookware. It is less expensive and does not weigh much. Some of the aluminum cookware are reactive to some foods. The cookware made of copper has even heat conductivity. It adjusts to the heat changes. It is a bit expensive and requires high maintenance. 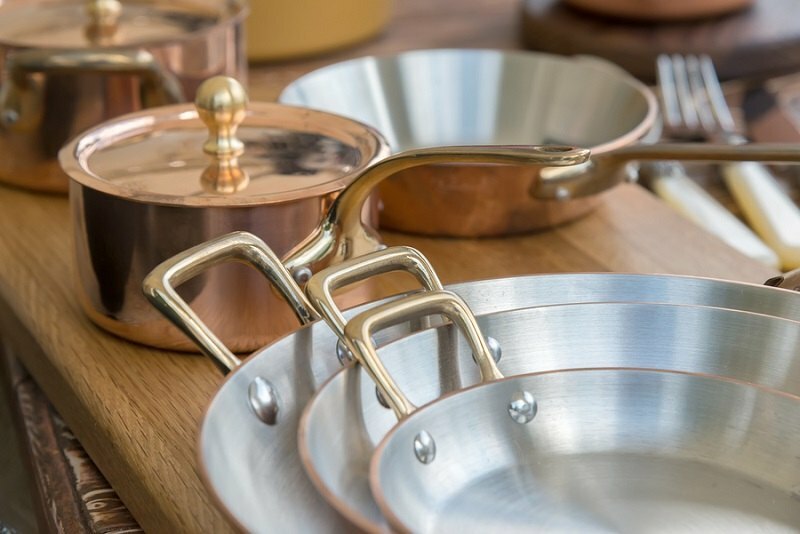 Most copper cookware is lined with s﻿tainless steel and tin which gives them natural nonstick properties. The stainless-steel cookware has the best performance and it is more durable. They are more expensive as compared to the others. They conduct heat better than the cookware with an aluminum disk at the bottom. The ones that are cheap, have no aluminum part. Ensure that any cookware you choose is compatible. The cookware should have some iron. This type of cookware can be used on any cooktop. Ensure that the cookwar﻿e you choose is oven safe. This will allow you to use them in the oven. Any wooden or plastic handle cannot be used in the oven. Metal handles are oven safe. You can just tell the quality of any cookware by evaluating the handles. Choose a set that has solidly attached handles. They should be made of metals. This will give you the option of using them in the oven. The metal handles can cause burns, this is because they conduct heat fast. Others have rubber or plastic handle guards which can be removed to use i﻿﻿n the ov﻿﻿en. The glass lids are good when cooking. You can monitor the food as it cooks. It also seals in the nutrients and the flavors. They are convenient. They should fit properly and easy to remove. Nonstick cookware is easy to clean and maintain. Check the cleaning instructions from the manufacturer before you buy. This will help you to know how each brand is cleaned. If a set is not dishwasher safe, they have another easier cleaning solution. As long as the cookware pieces are not exposed to wear and tear, the manufacturers offer a limited warranty. Some sets have a lifetime warranty. Before you buy, check the warranty first. Follow the manufacturer’s instructions for the warranty to be valid. This is an aluminum cookware set. It is made of aluminum, this makes it heat quickly and evenly. It also has three silicone and nylon prep tools and the carbon steel baking sheet. The cookware set is stylish with two-tone exterior color. The interior is long lasting and makes it easy to release the food. It can be cleaned easily. The set contains a stockpot, saucepans, a baking sheet, skillets, a sauté pan, and other kitchen tools. The food can be prepared on the cooktop and directly into the oven. The handles are double riveted, this adds more strength. They are comfortable to handle. They have glass lids that are shatter resistant. They seal in the flavors and moisture. It is oven safe up to 350 degrees F.
​It has a lifetime limited warranty. ​The baking sheet has orange distinctive handles that can be handled comfortably. The set has a silicone mini spoonful, a medium turner and a spoon that is notched to perch on the cookware rims. ​The cookware is made of aluminum that promotes fast and even heating. This reduces hot spots that may burn the food. The cookware set can be cleaned easily. The color may come off and stain any fabric. The interior coating may flake off. 2. The Circulon Symmetry Hard Anodized Nonstick Cookware Set, Chocolate. The set has 11 pieces. 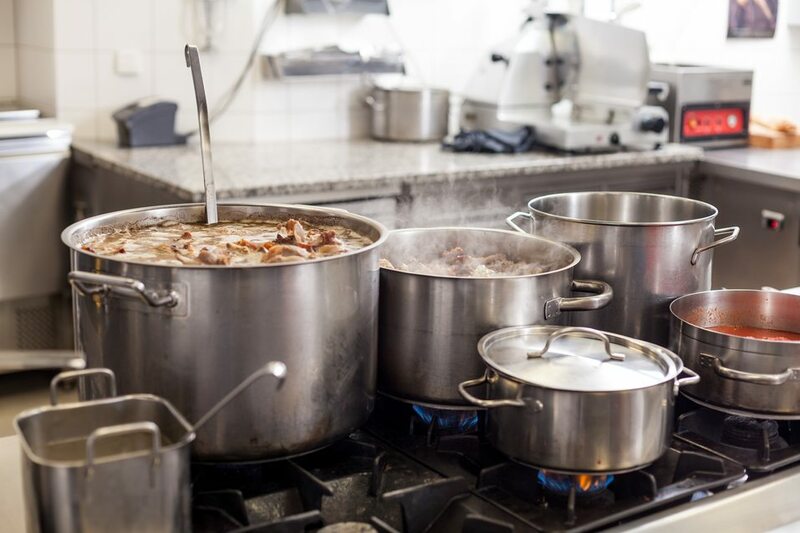 They include two saucepans that are 2 and 3 quarts, a stockpot that is 8 quarts, a pouring saucepan that is 1 quart, two skillets that are 8.5 and 10-inch, and a covered sauté that is 3 quarts. It is made of heavy gauge hard anodized aluminum which harder than the stainless steel. This provides the cookware with lasting durability. Ensure that the burner of the stove fits the cookware properly for proper heating. The cookware has a food release system of circles that reduces the surface of abrasion. It is easy to clean them. ​It can be cleaned using a dishwasher. It has comfortable and sturdy handles that can be used in the oven up to 400 degrees F.
It is made of high technology performance that has a tulip shape. This offers the set durability that is great and better conduction with a beautiful look. ​It can be used on all cooktops. The glass lids have a stainless-steel rim. This allows you to monitor the food without lifting the lids. This ensures that the flavors, nutrients, and moisture are sealed in. The lids can break if they are not handled carefully. The set has 12 pieces. Gray color is available. All the pieces are essential for your kitchen day to day use. The pieces include two fry pans that are 7.75 and 10.25-inch, three saucepans that are 1, 2, and 3 quarts with their lids, a Dutch oven that is 5-quart with a lid, a slotted spatula, and a nylon spoon. The interior is nonstick. This ensures that the cookware can be cleaned easily. The exterior is hard anodized for durability that is long lasting. ​The pieces are oven safe, this is because they are made of aluminum. It has a lifetime limited warranty. ​The base is even. This ensures that heat is distributed evenly. The thermos-spot indicator shows when the pan has heated perfectly. This ensures that the flavors are sealed in. ​The handles have a soft touch that makes them ergonomic. They are designed to offer comfortable gripping. They can be used in the oven up to 350 degrees F.
​The handles can stay cool during the cooking process. ​The cookware is compatible with all the cooktops except the induction cooktop. ​Fat or oil is not necessary as you cook. You don’t need aerosol cooking spray on the non-stick cookware. You only need moderate or low heat when cooking. The set is made of hard anodized aluminum which offers the best conductivity and even heating. They have glass lids. This set cannot be cleaned in a dishwasher, it is hand-cleaned by water and soap. The interiors are double coated with a reliable, nonstick coating. The cookware can be used for everyday tasks like steaming rice and reheating sauces and soups. It is also ideal for making fondue, caramel, and other sticky sauces. The sauces and soups can be poured out easily. 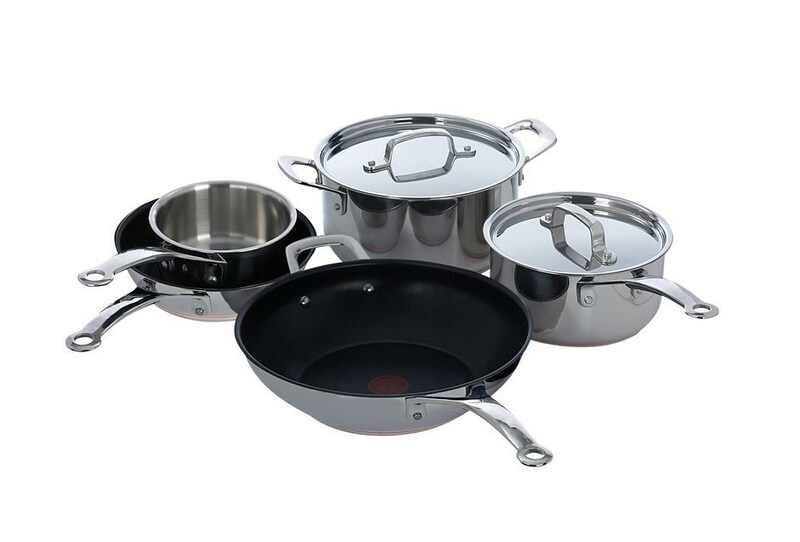 The cookware is hard anodized aluminum which ensures that heat is distributed evenly. It is easy to clean and maintain. You only need water and soap to clean it. ​The food is easily released. This is because it is nonstick. The cookware set has long lasting durability. They are slightly small if you have to cook for a large number of people. The cookware set includes a frying pan that is 8-inch, a deep sauté that is 11-inch, two saucepans that are 2 and 2.5-quart, and a Dutch oven that is 5-quart. The cookware has a lifetime limited warranty. It is easy to clean this granite set. ​The surface is nonstick and PFOA free. ​The base is thick, this allows even heat distribution for better cooking results. It can be used in the oven for about 400 degrees F.
​It is made of a heavy gauge aluminum vessel that provides even heating. It is easy to clean the exterior. The handles are silicone riveted for a secure and comfortable grip. They can stay cool on the cooktops. 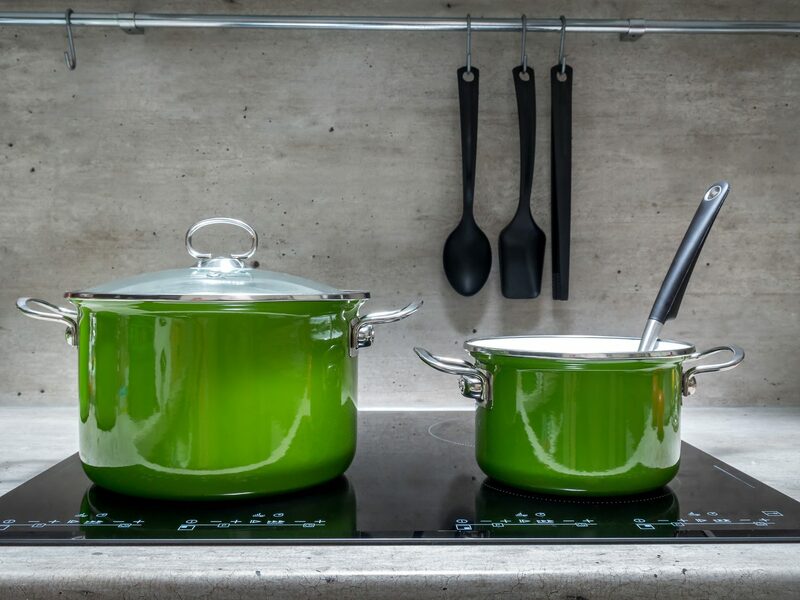 ​The cookware can be used on all cooktops except the induction cooktop. They can be used in the oven up to 400 degrees F.
​It has tempered glass lids that can be used in the oven. The exterior is silicone polyester which makes it more durable and easy to clean. It is metal utensil safe. It is not PTTF free. It cannot be used on an induction cooktop. The best non stick cookware is the one that can satisfy your cooking needs. According to me, the best non stick cookware is the T-fal D913SC signature scratch resistant hard anodized nonstick PFOA free thermos-spot indicator cookware. It has 12 pieces which are essential in my kitchen. I love this cookware because it has no hotspots. The food cannot burn. I can comfortably use the pieces in the oven. The lids are made of glass and are shatter resistant. You can also have the best hard anodized cookware or the best ﻿c﻿ookware ﻿f﻿or ﻿g﻿lass ﻿t﻿op ﻿s﻿toves if you like them.